5 tastefully decorated self-catering units, all with an open plan kitchen/sitting room, bedroom and bathroom. Facilities include DStv, separate entrances, decks, secure private parking and a Jacuzzi that looks out over the lagoon to the Knysna Heads. 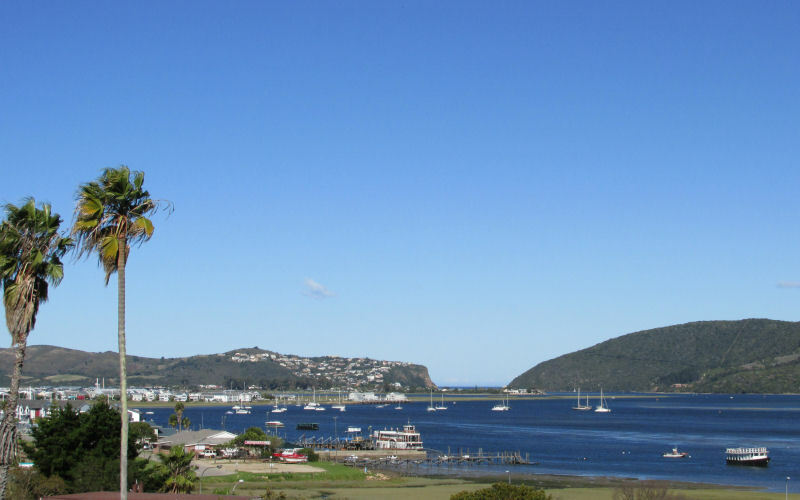 The units and their decks have magnificent views of the Knysna Heads and the lagoon. Braai (Barbeque) facilities are available and a Continental Breakfast can be served on request to your unit, where you can enjoy the view of the lagoon and the Knysna Heads. Stannards Guest Lodge offers either the B&B option for its 6 suites, or the self-catering one for the 2 Luxury Self-Catering Garden Cottages. A delicious buffet breakfast is served each morning in the sunny breakfast room or on the deck overlooking the garden. A cooked breakfast is available on request. Guests are encouraged to use the comfortable lounge with fireplace, and the self-service 'honesty' bar which is equipped with a big screen television for sports enthusiasts and a number of board games. The unique style of each room will make your visit a memorable one. The décor in all the rooms is of the highest quality and beautifully coordinated combining a medley of colours and textures. The most important décor feature is the high quality of the beds and crispy white linen. What is a hotel room without a bed? Be ready for peaceful sleep on the cozy mattresses and in between the crisp, fresh linens. With so many room options your stay can only be perfect.